The Exhibition serves as an entrance space into Summer of Soil, and aims to educate and raise awareness about the state of soil. It aims to give insight into the amazing substance soil really is, as well as showcasing different growing practices which promote soil regeneration in both rural and urban environments. It includes a pavilion with small scale “Do It Yourself” solutions, Ekoleden – an eco-tour around the local sustainable food society, a “2000 square meter project” –The Exhibition is open to the public and consists of three interconnected areas; the Pavilion, the Kulturcentrum Trädgårdsparken (Garden and Park) and the Ekoleden, helping to understand and realise the conditions of soils from a global point of view. The Soil Lab invites the visitor to experiment with soil, put your hands in the dirt, smell the soil, look at the roots and use your senses to experience the magic. 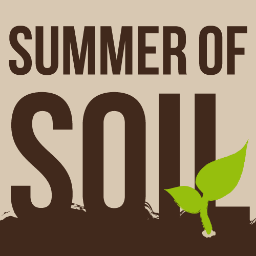 This summer, the park grounds will feature Summer of Soil’s Story of Soil, an intiative designed to raise awareness about soil. This will be achieved by identifying and explaining various processes connected to soil as they appear around the campus.This project aims to inspire people to care for the land and show how a good relationship with our earth can create a positive, creative development for our planet and for our fellow humans.